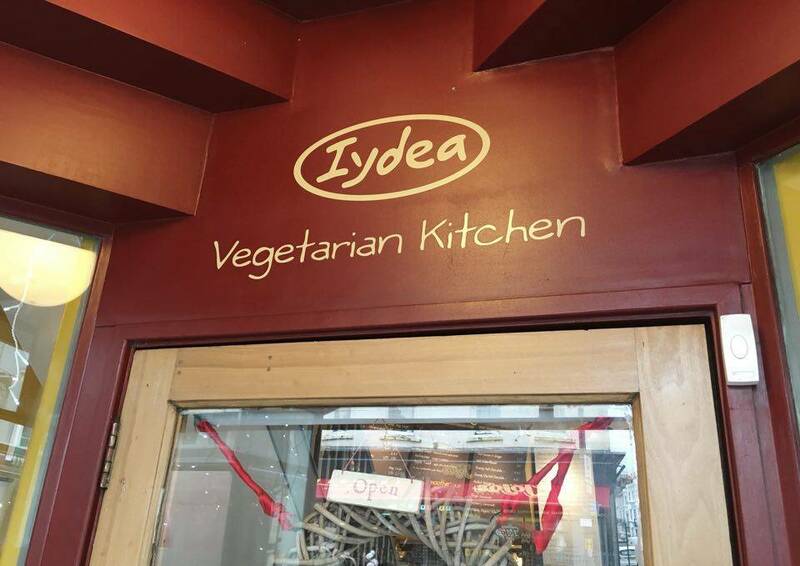 If you’re a Brighton/Hove dweller and you like Vegetarian or Vegan food, chances are you’ve heard of this wonderful, award-winning place, Iydea. There are two, both fairly central: one in the North Laine in Kensington Gardens (Brighton), and the other along Western Road, towards Norfolk Square (Hove). 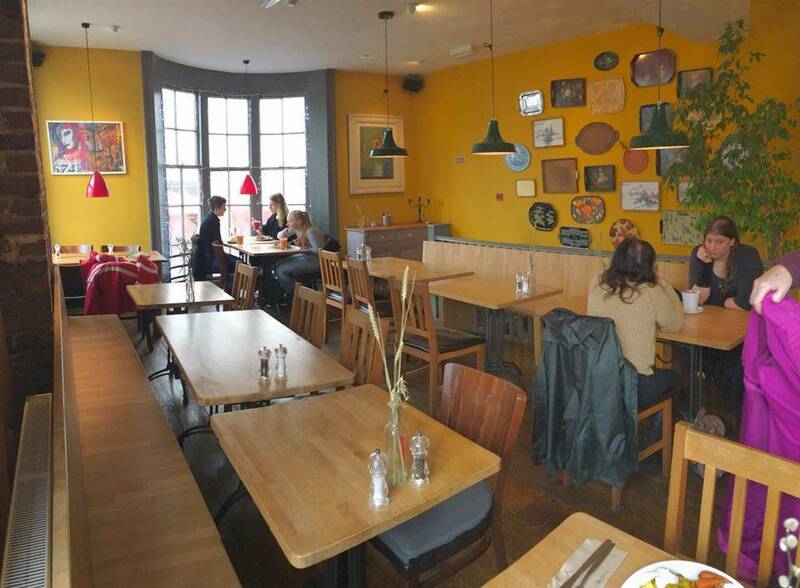 The Brighton location was the first to pop up six or so years ago, followed a few years later, by Iydea in Hove – both are perfect choices if you’re nearby and want a quick, flavoursome bite to eat, in a cheery atmosphere. 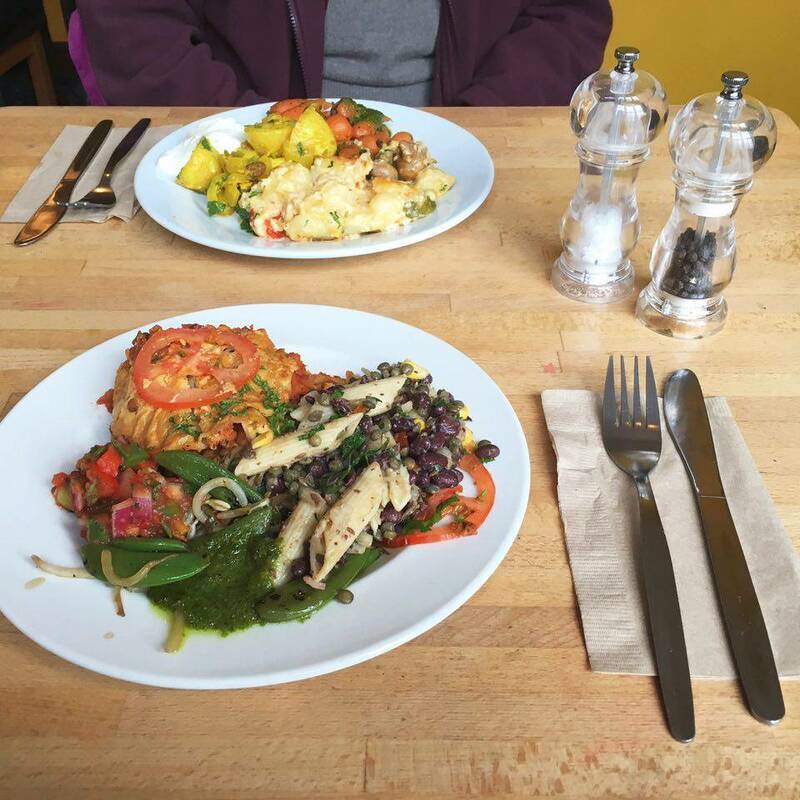 A trip to #Brighton just isn't the same without a visit to #Iydea for some beaut veggie goodness 😍 be rude not to! I usually find myself in the Hove one (so most of my pictures are of this one), as it’s quite a lot bigger, with a second floor upstairs, so more chance of finding a seat (also the staff are super friendly, which gives them extra credit)! One of the things I love about this place, is that even if it is full, if you notice a spare chair or two, people are more than happy for you to join their table – because the style is so casual and the food ‘fast’, no-one minds where you sit. In the evenings on Tues-Sat the upstairs of the Hove restaurant turns into rootcandi, ‘Brighton’s premiere plant-based tapas restaurant’ (opening times vary, check the website if you would like to visit). I’ve not had a chance to try rootcandi yet, but plan to soon! When I do, I’ll definitely be blogging about it too! The dishes served at Iydea change daily and they usually update their Facebook page with the food that’s available each day, so if you like to be prepared you can check that out. Myself, I like the surprise of not knowing what they have that day and deciding when I get there. They also do lovely breakfast options too, as they’re open from 9.30am! Breakfast at #iydea with @victoriascarfield ❤️ GF toast with houmous & avocado on top, rocket & cherry tomato salad, and hash browns with a sprinkling of cheese on top (couldn't resist being a little naughty!) Breakfast café of champions! The ordering process is simple, you choose one main dish (eat in/take out price clearly labelled), two sides (either hot or cold, including roasted veg with lovely herbs, eg. Chantenay Carrots with Parsley, or creative salads with unusual additions, eg. black bean, pepper & pasta salad), and two toppings (ranging from your standard tzatziki, sour cream, hummus, or salsa to an absolutely incredible corriander & garlic sauce which is my ultimate favourite!). I just want to point out, because I think it’s so good of them – all of the foods are clearly labelled with all of the ingredients, and any dietary information. So whether you’re Vegetarian, Vegan or intolerant to gluten, it’s easy to know – unlike so many places where it seems to be an ongoing saga finding out what’s *actually* in the dish. Some of the dishes are quite standard (I say ‘standard’, but they’re actually incredibly lovely, just regulars here) and you’ll see them popping up a lot, eg: the Chilli Bean Enchilada (Vegetarian) and the Roasted Sweet Potato, Aubergine and Courgette Lasagne (Vegan) they also do magical things like Broccoli, Brie & Almond Quiche (Vegetarian), or Re-Fried Bean Roti (Vegan). I recently had my first entirely Vegan meal there (pictured above) as I am taking part in Veganuary (and plan to continue being Vegan for as long as possible! ), and I was not even a little bit disappointed. The lasagne was creamy and tasted cheesy (thanks to the cashews and nutritional yeast flakes) and despite not being able to have tzatziki (my usual as I’m sure you can see from all of the other food pictures in this post) it was still completely delicious. 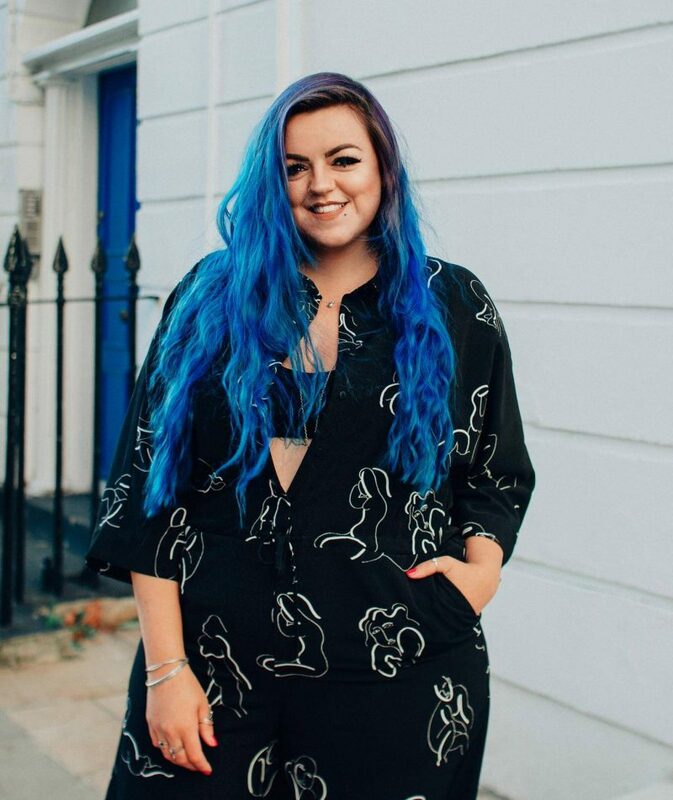 As well as all of the savoury food, they usually also have some sweet desserts – cakes and the like, so if you’re feeling something sweet afterwards you don’t have to go far at all. 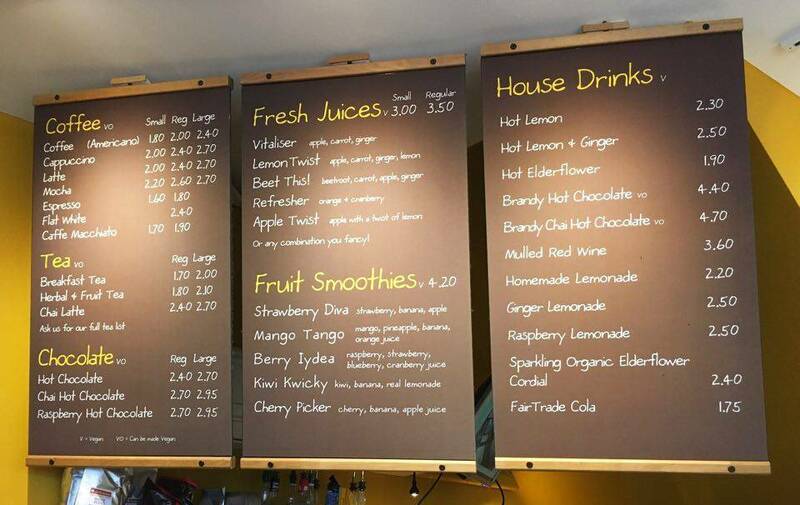 They also have a great range of soft drinks (like juices, smoothies) and warm drinks (such as fancy teas, to standard coffees, and of course hot chocolates) to choose from to accompany your meal. Not only are all of their meals nutritious and delicious (I’m such a poet), they are made from natural raw wholefood ingredients. 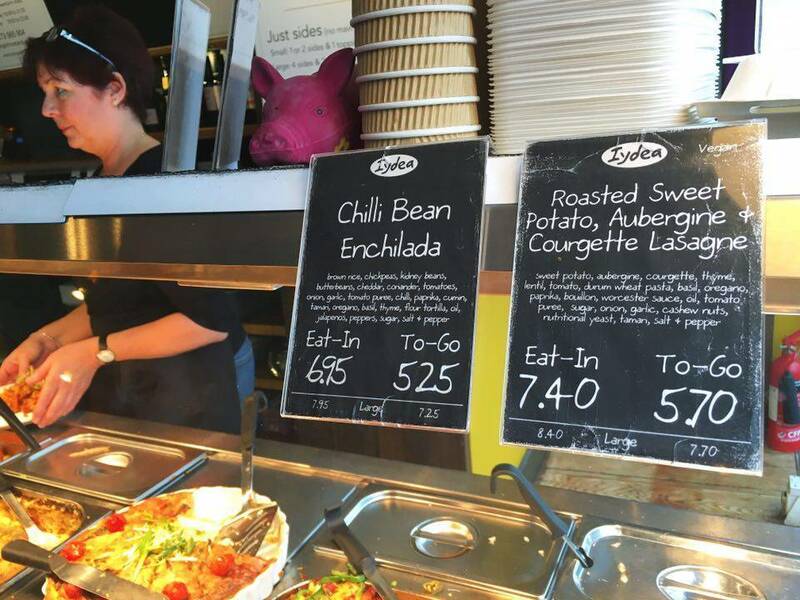 You can also choose to take away your meal if you’re in rush/or want to eat it at home, and you can take comfort in knowing it will be put in the most environmentally friendly packaging possible, they’re pretty darn good ‘ey? Endorsing this fantastic place – loved by all family and friends.. I’ve enjoyed a “rootcandi” tapas evening, delicious and unique selection. Your next visit to Hove we’ll have to get you there Luisa.